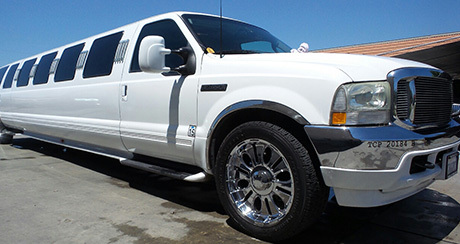 Need the privacy of a limousine, but don’t need all that extra space? If you’ve got four passengers and a need for a smooth, economic ride, then the Cadillac Escalade is just the SUV you’ve been looking for. Big enough to fit not only the whole family, but everyone’s luggage as well, you’ll find that the Escalade far surpasses any expectations of what luxury traveling is. 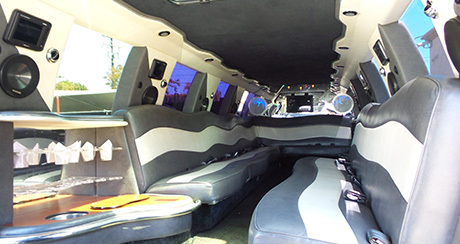 With extreme handling capabilities, comfortably cushioned interior, and eye-catching stylistic detailing, you’re ride will be smooth, show stopping, and without worry as you leave everything up to your personal and professional chauffeur. The Escalade SUV will render you captivated as you enjoy your ride, and allow you to experience ultimate serenity, with privacy screening, refreshing bottled ice cold water, and personal AC conditioning. You’ll wonder why you would even bother looking up a taxi cab company’s number when renting a vehicle this perfect for your traveling needs comes at such an amazing price. Sure, there’s always the chance that you can save a few extra bucks by catching a cab, but is it worth five or ten dollars to sit in a smoky, disgusting vehicle on your way to your special or important event? You don’t have to subject yourself that such torture when renting a vehicle big enough for the whole family is this affordable. Even if you consider limousines too big or grand for your small family outing, you’ll love and enjoy your time spent in the Cadillac Escalade, especially when you realize you aren’t breaking the bank to have a grand time with your family or coworkers. Ranked #1 in Luxury Large SUV, this vehicle will delight those we enjoy the finer things in life, for a fraction of the price. The SUV arrives stunningly black and beautiful, polished to perfection, and ready for whatever event or adventure you have planned for the day. Your family or your business associates deserve to travel in a vehicle that can accommodate the level of seriousness or fun that the occasion deserves, which is exactly what the SUV Escalade has to offer for you and your precious cargo. Make sure that you not only arrive and travel without sweating the costs of your transportation, but that you fully enjoy the scenery and experience of the vehicle that you travel within. This isn’t hard to image when you’re submerged in the experience of an iconic Cadillac Escalade SUV, which brings together style, sophistication, originality, and luxury that both modern day man and CEO deserve to treat themselves to.